Wat Yansangwararam temple complex (often used the Wat Yan name, วัด ญาณ สั ง ว รา ราม วรมหาวิหาร) located at a distance of about 20 kilometers south of center of Pattaya city in Thailand. The complex has a lot of important and interesting for tourist Buddhist buildings. The photograph shows the most notable building of the temple complex. It is most convenient to get to this place by taxi. 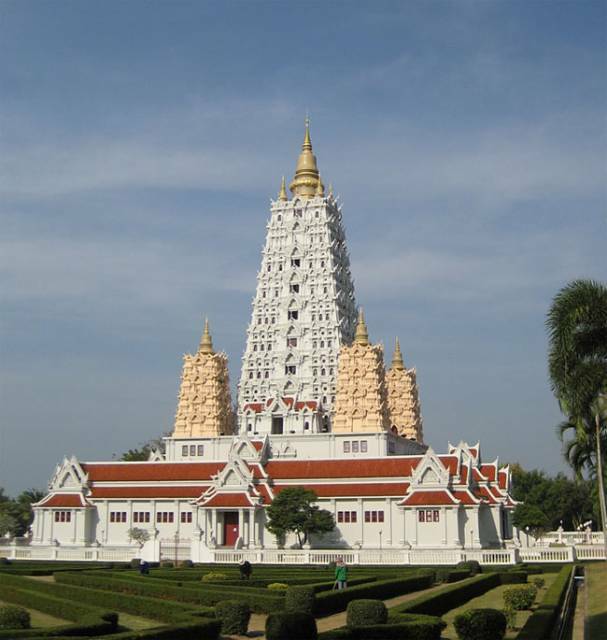 Wat Yansangwararam temple and other Pattaya attractions location is pointed on the map.